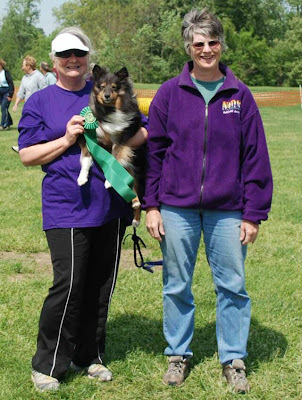 Huge Congratulations to Patty Kimball and her little bullet Kori on earning the Brother Vincent Spirit of Agility Award at the Canine Kinship Trial. Patty and Kori really do embody everything that the award is about, their relationship is inspiring. And watching them lay down a clean run is always breathtaking! Lots of great runs, PZ handlers had a fantastic time at a phenomenally beautiful site with great hiking for humans and dogs, good food and always great company. It is sad that this was to be the last trial at Animal Cracker Farm. It is a wonderful place. Also congrats to Charlotte and Raven on earning their Superior Open Tunnelers title! This was the last tuneup, onward to Championships!!!! 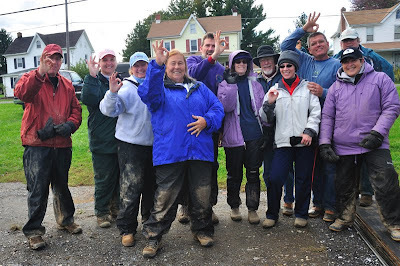 Big congrats to PZers earning big awards at the AAA trial in Townsend, DE. There were some fun, challenging courses supplied by judge Nadia Barrett. Second to last tune-up before Championships and Team PZ is looking great! 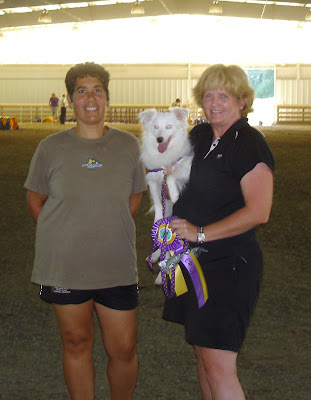 On Saturday, with a nice Chances run Nicole Bailey and Luxx earned their NATCH-4! 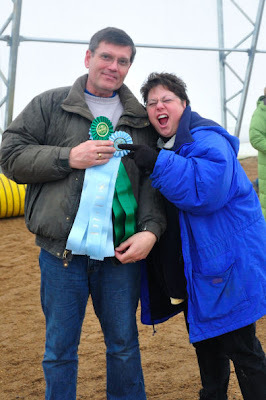 On Sunday, on a tricky Jumpers course Paula Goss and Trae earned their NATCH-3 and Versatility NATCH-3!! 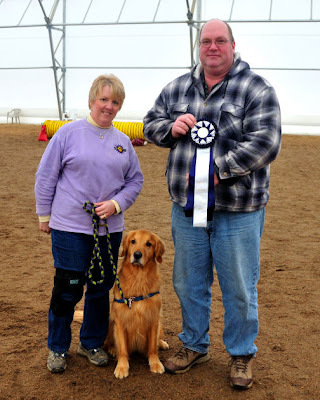 On Saturday with their last needed Weavers, Leanne Lohmeyer and Cody earned their Open Superior Versatility!! WTG guys. Big congrats to Jean Wilkins and Kopper for nailing all 4 regular runs at ITZ this weekend to earn their NATCH-8 and Versatility NATCH-8!! Well done ladies. 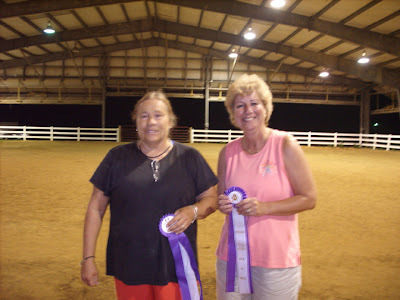 Also, Patty Kimball and Kori got the last Touch-n-Go and Hoopers they needed to finish their Novice Superior Versatility and Novice All Around. Way to go!! There were many beautiful runs and we managed to dodge the miserable predicted weather for the weekend, ending with a sunny and breezy Sunday. A nice way to kick off the fall trialing season. 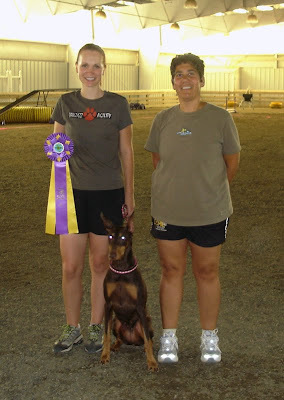 July 24th and 25th brought Pawzazz’s 43rd NADAC trial – the annual July night trial. Things went off fairly smoothly despite humidity, a bit of thunder and lightning, and some plumbing woes! As always, PZers came out in force to work, run, play and laugh hard – not to mention finding a little time for the Electric Slide (which seems to be a little tricky in the dirt) and the YMCA dance! Suze Sullivan once again did a wonderful job organizing The Road Kill Café. Big thanks to her as well as grill masters Mike Barracco and Josh Bailey. Everyone brought delicious salads, side dishes and desserts …. Charlotte Idleman’s potato salad is a fan favorite! 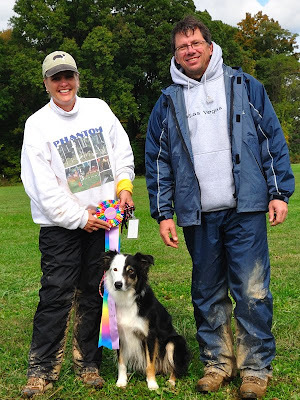 A warm welcome to Angela and Brian Cooley and their can’t-wait-to-be-trialing Border Collie, Princess. 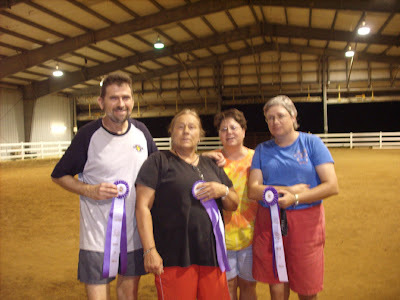 They came out to watch their first trial and worked hard both nights. 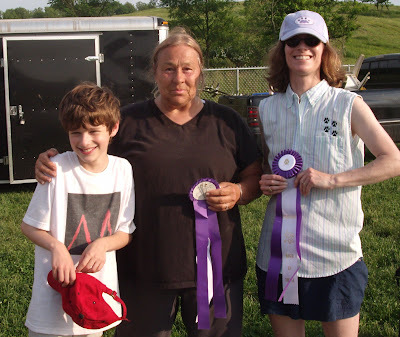 Jean Wilkins and Zephyr - Novice Triple Superior. Good friends, good music, good weather – just good times once again in Ellicott City! We were delighted that there was no rain and some gentle breezes unlike the weather at other recent trials. 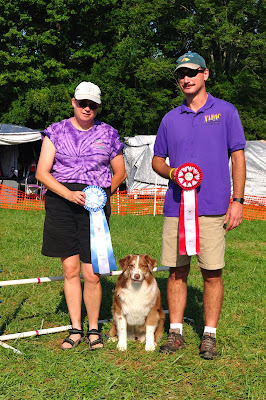 It was still a bit too hot for some dogs and handlers but, as always, PZers made good decisions in the best interest of their dogs and their own health. 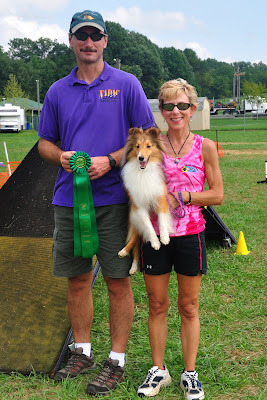 We missed those who had to curtail their agility fun due to the toll the heat took on them. Terry kept us grooving all weekend long with a great selection of tunes and it was fun to see people singing and rocking to the beat. 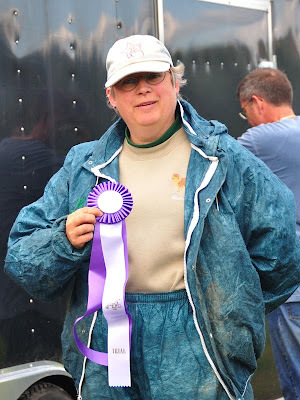 An honorable mention goes out to Steve Kowal and Sapphire in the Novice classes....they Q'd 5 out of 6 runs on Sunday. Way to go team! The crowd gave a big round of applause for the debut of the newbie team of Louise Campbell-Brown and Kismet. Louise has been learning her lessons well from her PZ instructor as she fixed at least one start line “stay” and Kismet nailed those important 2o2o contacts! It was a very impressive debut with a first Q earned as well. 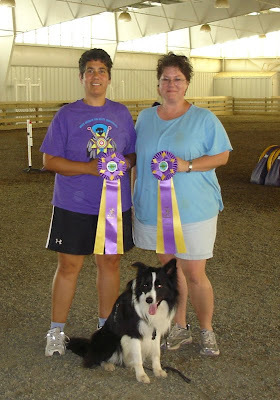 We welcome Louise and Kismet to the addictive world of agility competition! 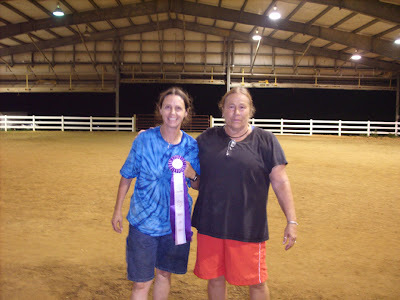 Anne Beach and Pearl returned to the ring after Pearl had been on the injured reserve list….and Pearl looked very happy about it! 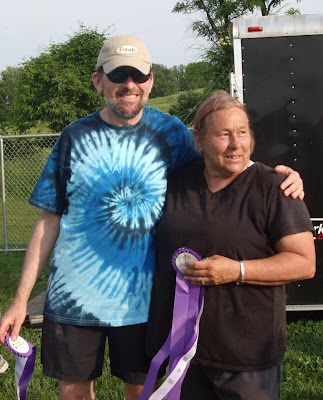 Some substitute handlers gave spectators quite show: Paula ran with little Andy and also took a turn driving Jig “The Big Rig” around the ring. 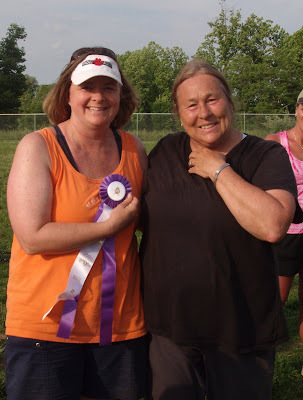 In Tunnelers, Jean showed Debi how to get a solid start line “stay” from Chime and also proved that the true “Queen of Not Quiet” isn’t Bracey, but Sheila! 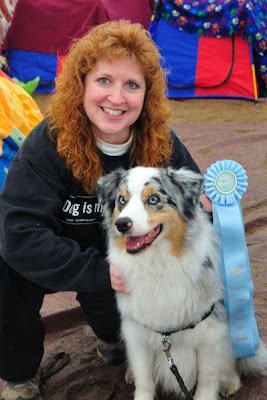 Pat Maloney-Harmon also had fun with Meg while Jane sat on the sideline with her handsome new Aussie, Sprint. 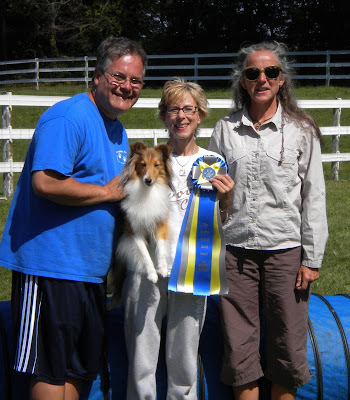 Maybe we’ll see him in the agility ring in the future. Due to the generosity of so many PZers, there were wonderful raffle prizes once again this year. Thanks go all around to all the PZers who showed up on Friday to set up, got there early on Saturday and Sunday to get things rolling and stayed to help pack up after a long weekend! Special thanks to Jean W. for being the “Gate Keeper” for the weekend … she was there before everyone and stayed until the last car was gone! Looking forward to more fun at Lothian in July for our night trial! 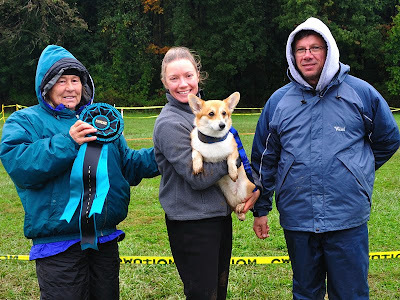 As usual, Pawzazz was well-represented at the latest ITZ trial. 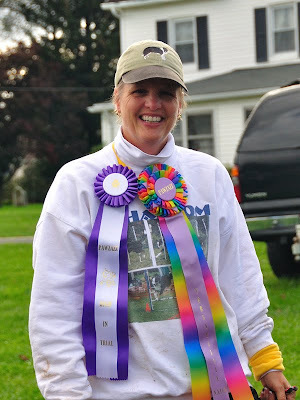 It was a fun trial at a great site (Salem County Fairgrounds) sandwiched right between two world-class "homemade" ice cream places! 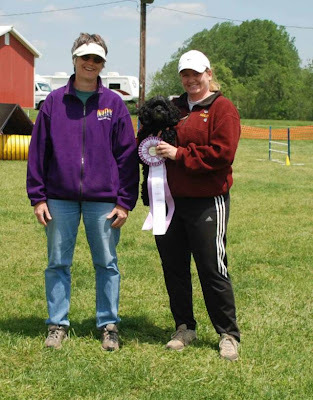 Some of the smallest PZ dogs brought home big awards! Way to go PZers! 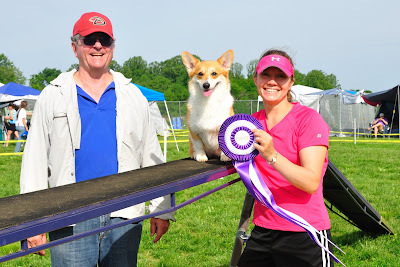 Looking forward to seeing everyone on May 23-24th at the next Pawzazz trial at Worthington Park in Ellicott City! Big Brags from In the Zone! 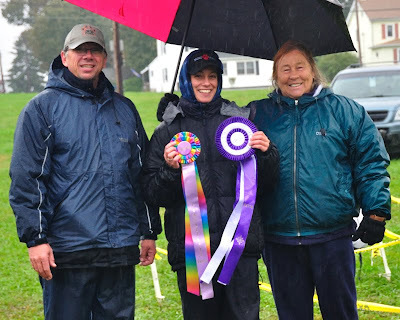 Mother Nature may have ordered up a chilly, wet weekend but under the big top on Ski Lane there were heartwarming smiles and spirits weren't dampened in the least. There was a lot of fun during the 3 day (ok, 2-1/2 day) In the Zone trial on March 13th, 14th and 15th. 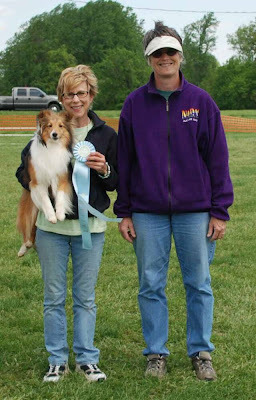 We missed one of our favorite trial secretaries, Lisa Bonker from ITZ because she was running another trial in IL. But Dwayne Bonker was there to judge the show and represent ITZ with his usual, entertaining style. Team PZ pulled together, as always, and helped keep this trial moving right along. 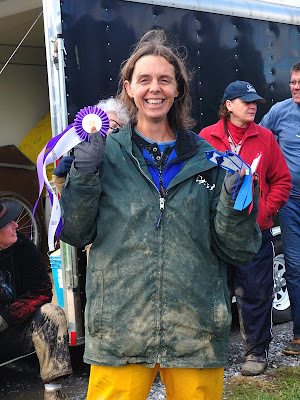 Tom Moloney-Harmon and Nelson Hardy kept the pace with quick course building while Nicole Bailey was queen of the keyboard keeping scores posted for the eager exhibitors all weekend. Paula Goss played ring princess and only had to take off her crown and crack her whip a few times to fill vacant volunteer seats. Pat Moloney-Harmon and baby Beckham with an amazing TNG run on Friday. Watch for great things from this terrifiic team! Debi Hutchinson and Chime has some beautiful runs where Chime decided not to argue with Debi...it was a thing of beauty! And not to be outdone, Garen took home some purple, too. "Newbies" Charlotte Idleman and Raven earned their Open Jumpers title ... wait, they aren't Newbies if they are in Open, huh? Sandy Ziemski and Jig had some very nice runs ... I saw an amazing Jumpers run. Another baby dog that is already amazing us! 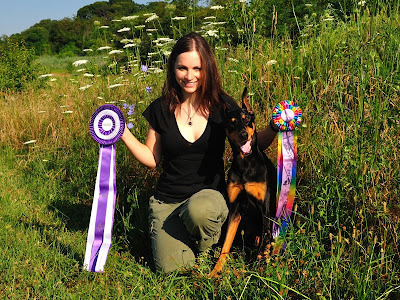 Katie Rash and Bella have been working hard on solid start-line stays and looked great this weekend. 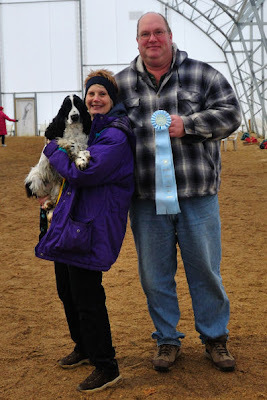 We all missed Paulette Hardy but enjoyed watching Nelson keep up with running all the dogs himself and keeping them clean, too. 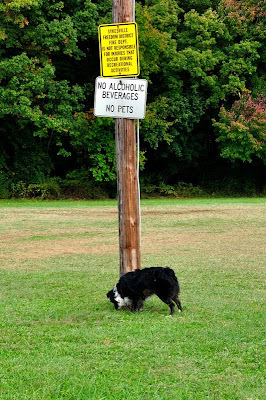 How does he manage it?! Oh, and nice run with Luxx, too! We were happy to have a visit from Anne Beach even though Pearl was on house arrest after wrestling with a raccoon. Gladly, Anne tells us that Pearl will be back at the next trial ... tell those raccoons to stay away! Half-time entertainment was brought to us by BCW ... Border Collie Wrestlemania! Debi's puppy, Gabe, and his littermate, Nicolette Eaton's pup Canon, had a lot of fun in their double-wide ex-pen ... lots of wrestling, grr'ing and some serious napping! 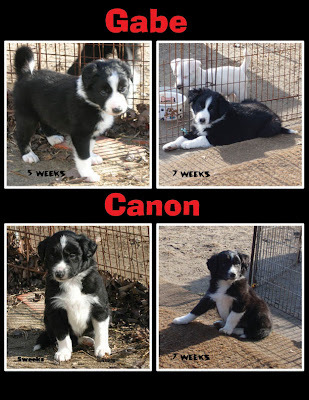 We all think the puppies grew a little taller between Saturday and Sunday! 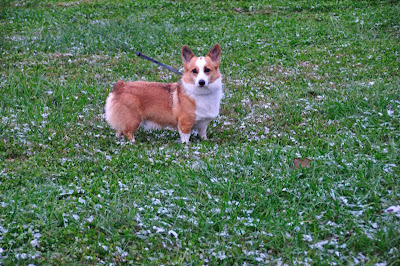 We are also excited to hear that Diane Gilliam has a new puppy at home...Circe (pronounced sir-see, I believe). I know Roxie is teaching her all the right habits of a proper Rottie puppy. Can't wait to meet the new pup, Diane! Congrats to everyone on a wonderful and fun weekend! 5 and 7 week pictures of Debi's new puppy Gabe and Nicolette's new puppy Canon. They will be joining the PAWZAZZ family very soon.